Let's kick this off with the orange! 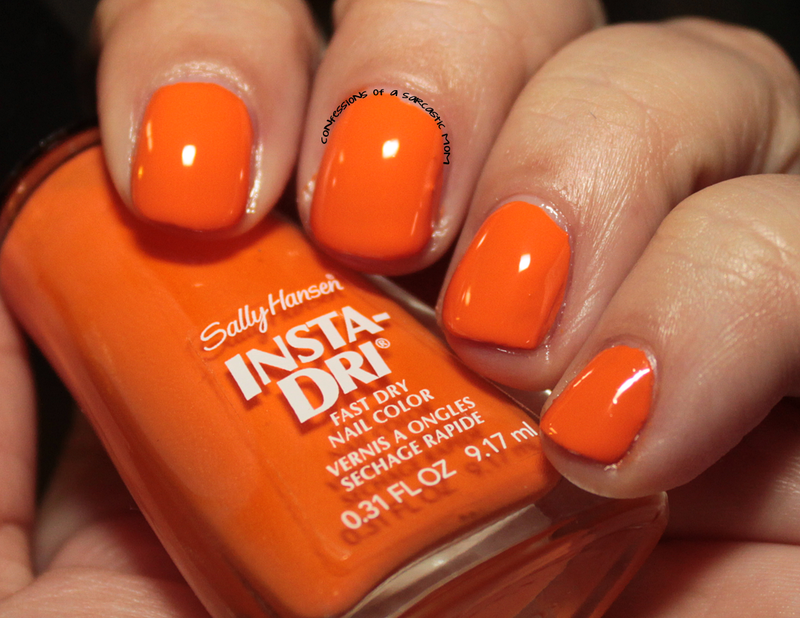 Cause ya know, that's where it's at for me :) This is Pumpkin Queen, and it's from the Insta-Dri line. 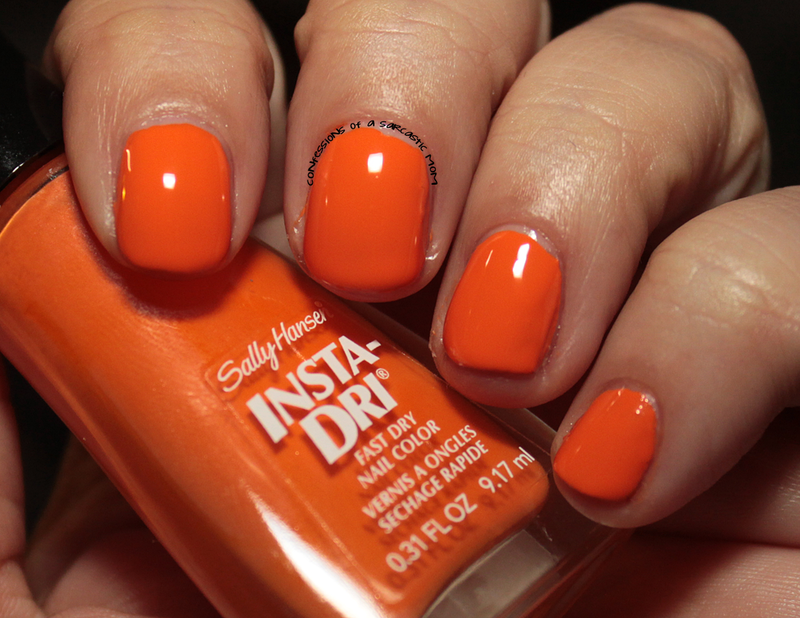 Good formula, nice color :) You know me and my oranges - I can't get enough :) I used two coats for what's pictured. Moving on to a black and orange Fuzzy Coat called Witch-ful Thinking. 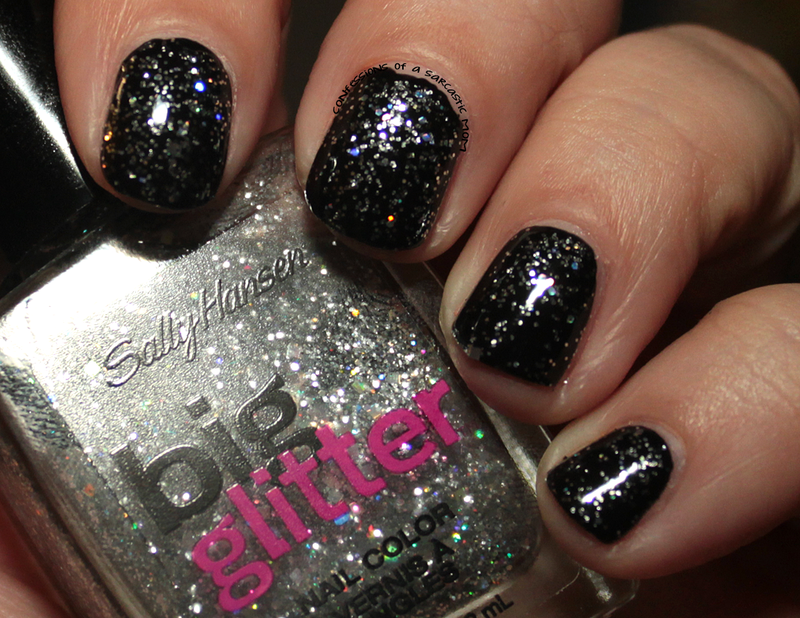 I've mentioned before that I think bar glitter looks like the hair in my bathroom sink after my husband shaves. I haven't changed my mind. Pictured is a thicker coat over Pumpkin Queen. 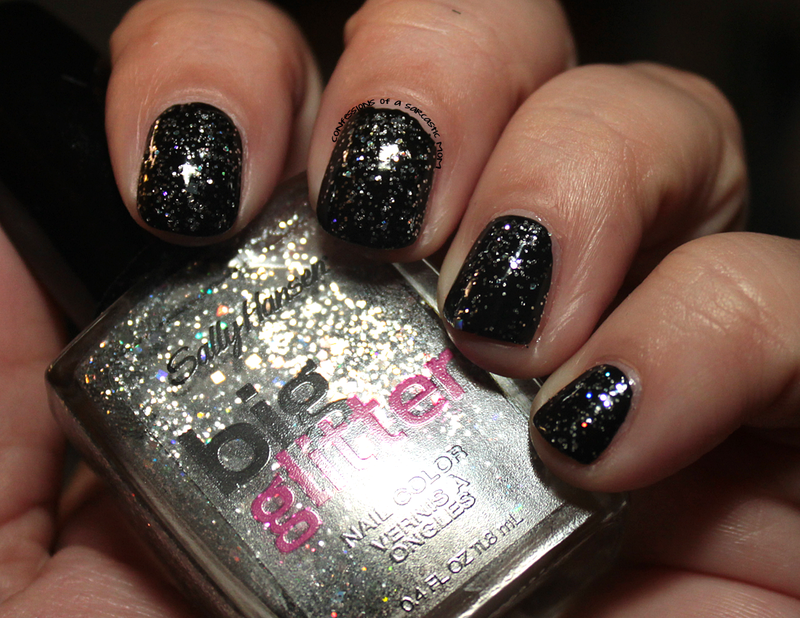 If you like bar glitters, this has a really good pay-off. 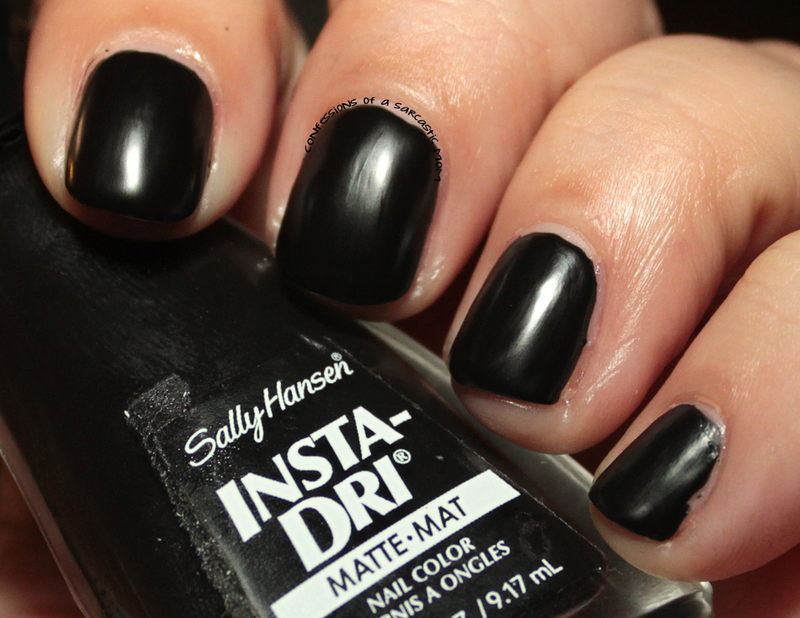 Matte black polishes never go out of style, and Scaredy Matte is no exception! 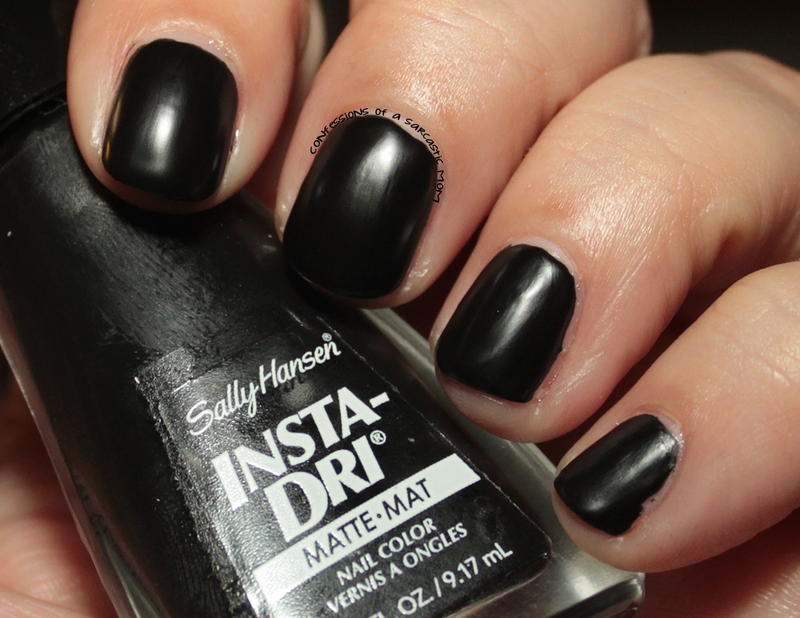 This Insta-Dri shade is easy to apply and dries to more of a waxy finish than matte, however. Either way it's good in my book. I had no issues with application, and honestly, I only added the second coat for good measure. This was good in one coat. And on to OMGhost. I'm not a fan. 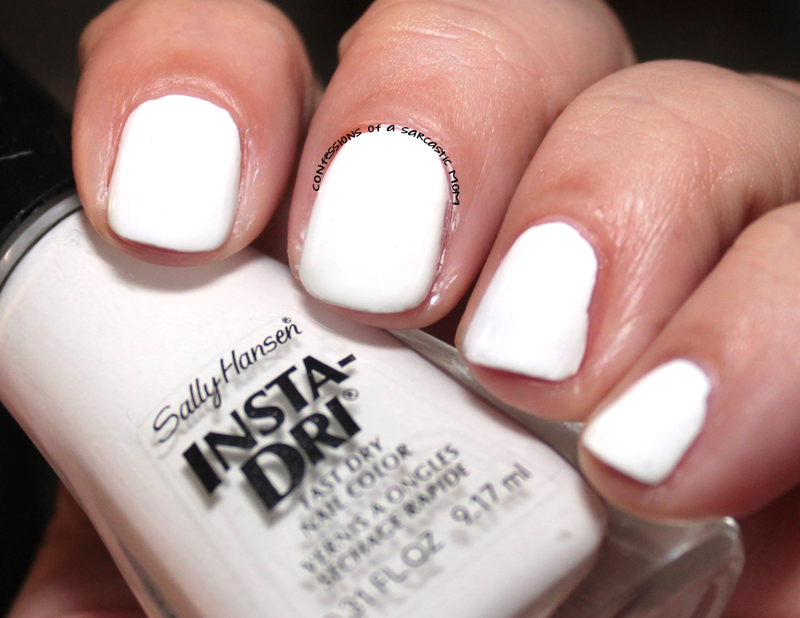 Not only is it so stark white that it freaked my camera out, it was difficult to apply. 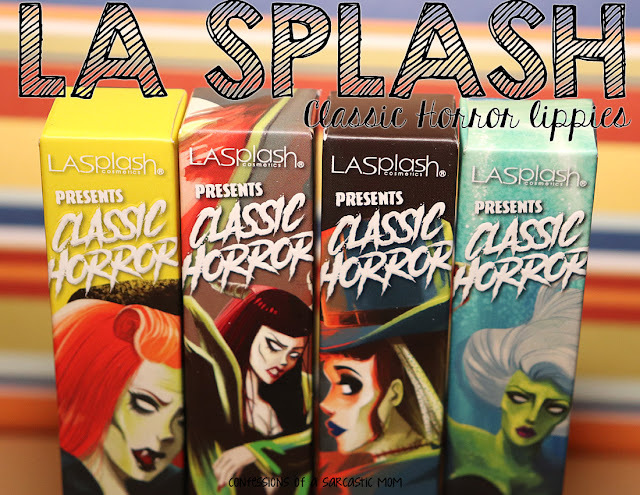 The formula was super thick, and I had trouble with application. 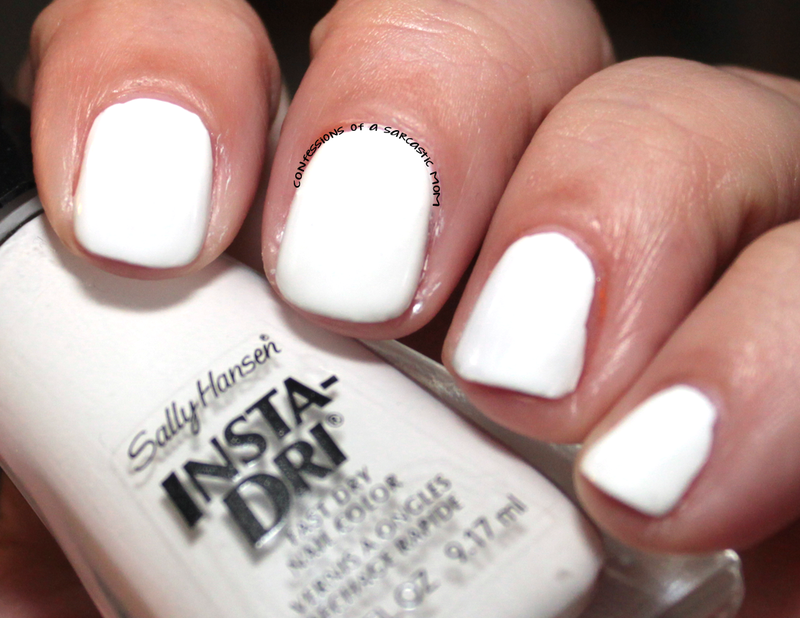 I finally got it evened out, but it just looks thick on the nails. 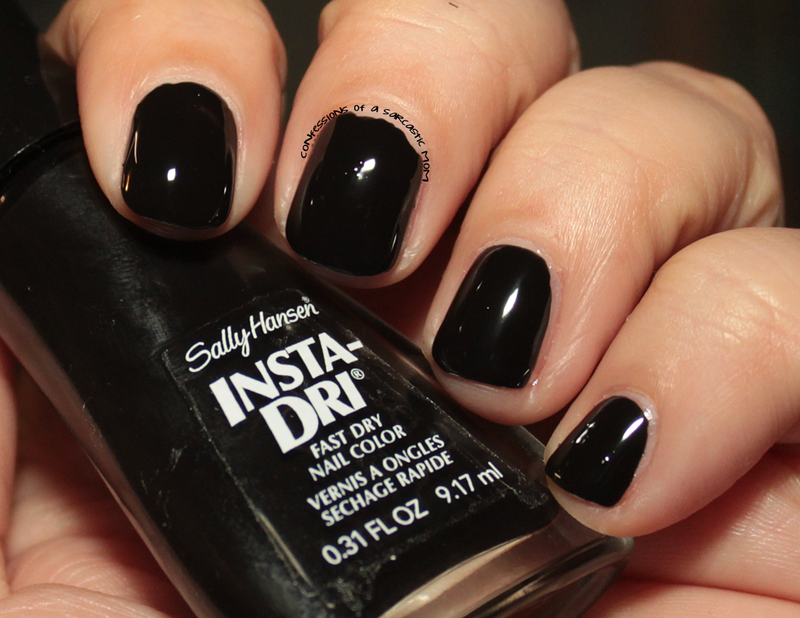 I didn't wanna over-thinner it, but this polish might need it. Once it evened out it was a nice base, but if it takes too much work to make it look good, I'm not sure about it. It is full of traditional Halloween-esque colors, but honestly, that's what this season is, right? Do you own any of these? 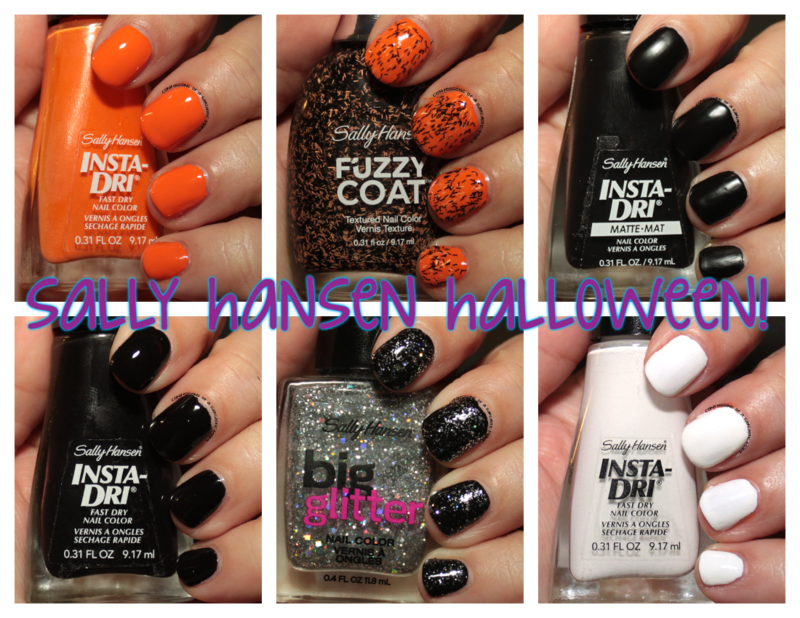 Have you found the display anywhere I have seen displays at several CVS stores, and you never know when CVS will have sales on Sally Hansen!